For some, providing basic necessities for their children is harder than for others. We're blessed to work with various non-profits throughout Colorado to recycle items that help ALL children to grow up feeling confident, stylish and most of all, LOVED! 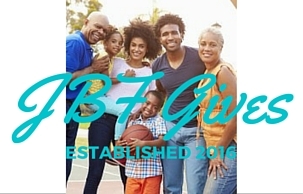 JBF Douglas County is proud to support Birthline Inc and their mission to help moms and families with our donations after each event. Since 2011 - total donations from our event have been $367,941. Griffith Centers for Children began in 1927 in Denver, Colorado. The founder, Miss Emily Griffith, was a respected educator who believed that every child deserves positive experiences and opportunities that would prepare them for a productive life. JBF Douglas County is proud to support the Griffith Centers for Children through our JBF Gives program. If you would like to share information about your organization or community event, please bring 25 fliers to put out at our community table in our main lobby.